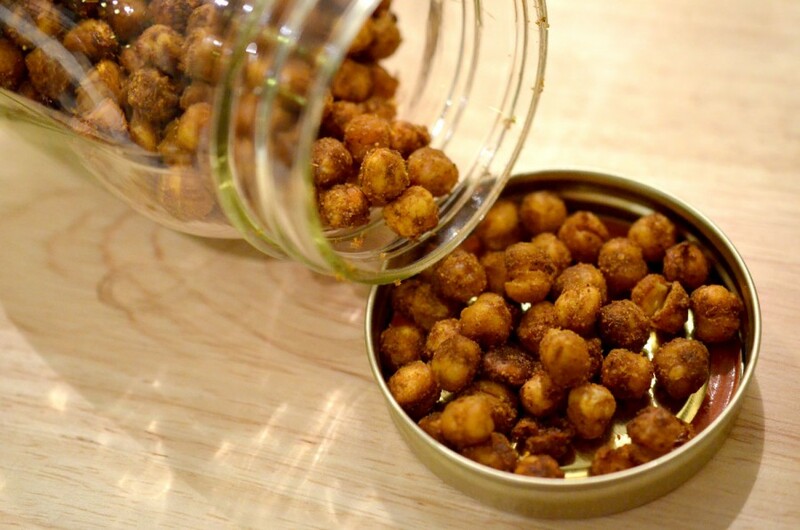 Toasted chickpeas are the perfect salty snack. Just when you need to satisfy that pesky chips craving, these are the perfect thing to reach for – and a much healthier alternative! So easy to make, store them in an air tight container to keep them fresh. Don’t be fooled by the expensive store bought options, these take 5 mins to make and only half an hour to cook. Mix all of the ingredients together in a bowl. Toss until coated evenly. Evenly distribute on a baking sheet into a single layer. Bake for 30-40 mins, shaking the baking sheet every 10 mins to ensure even cooking throughout. Once the chickpeas are crispy, remove from the oven and let cool. Be careful! Towards the end of the baking process, they can burn quickly (make sure you keep an eye on them).